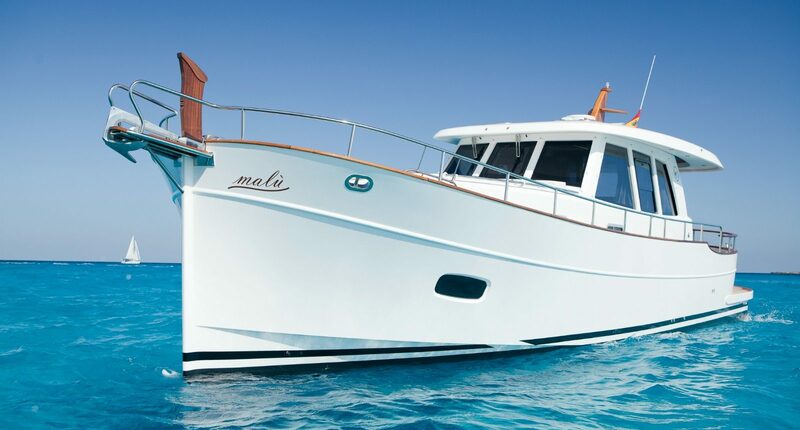 Inspired from traditional Spanish fishing llaüts, Minorca Yacht’s proven design has journeyed through generations, and come to fruition as the luxurious, livable and technologically advanced yachts that are produced today. 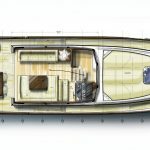 The Islander 42 hardtop and flybridge models offer a comfortable, efficient and practical option for today’s leisure boater. The 42 pays special attention to efficiency in all areas; including good fuel economy and low noise and vibration. 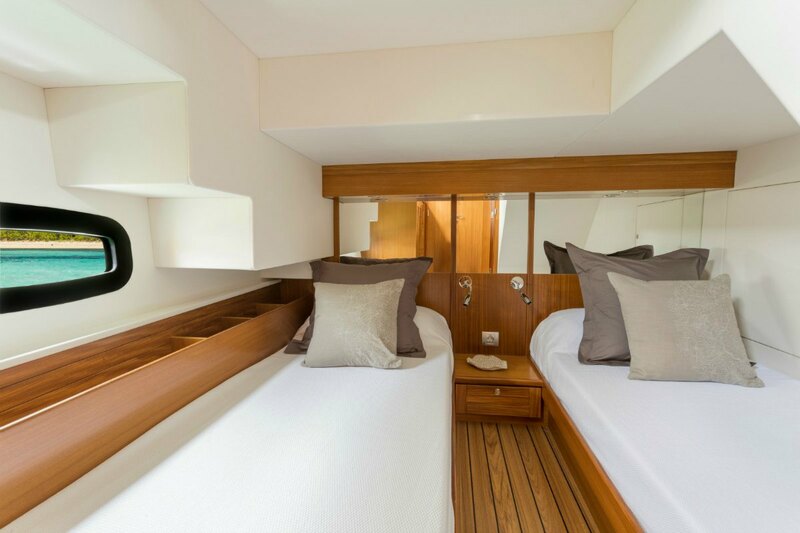 Her spacious two stateroom, two head interior arrangement will provide comfort and privacy to all on board. Two elegant bi-fold doors close the salon from the open air aft deck, giving owners the option to create a fully climate-controlled indoor living space or to enjoy an open feel throughout the entire upper deck. 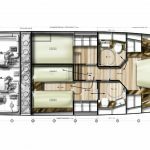 The living area features a spacious salon with the helm situated on the starboard side. Large windows surrounding the salon bring an abundance of natural light, creating a beautiful indoor viewing area. Simple, unadorned fabrics keep the mood calm and relaxed throughout her interior. 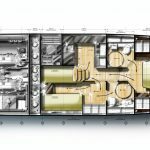 Four steps lead down to the owner’s deck, housing a U-shaped galley with ample space and amenities for extended cruising. A large master stateroom is located at the bow with the twin-berth cabin situated starboard. Thoughtfully designed and fitted to an extremely high standard, each room has its own bathroom and separate shower. 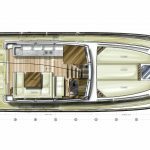 The Islander 42 features a very rounded stern and wide beam, carried almost the entire length of the hull, resulting in enormous interior space and strong sea keeping capability. 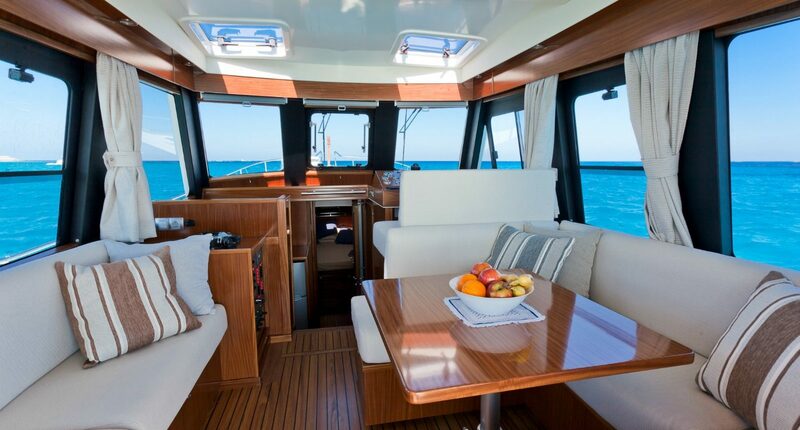 Both the 42 hardtop and flybridge offer a generous aft-deck area with generous space for outside dining. 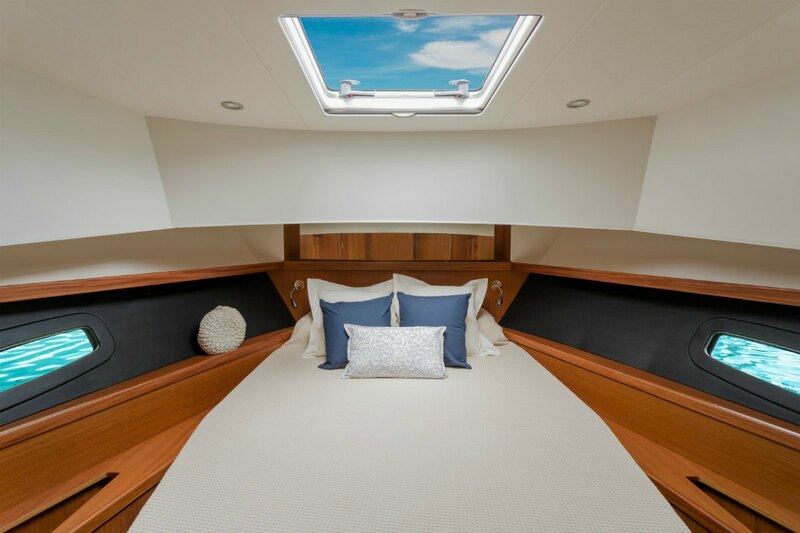 Similarly, the foredeck area includes a raised sunbathing area. 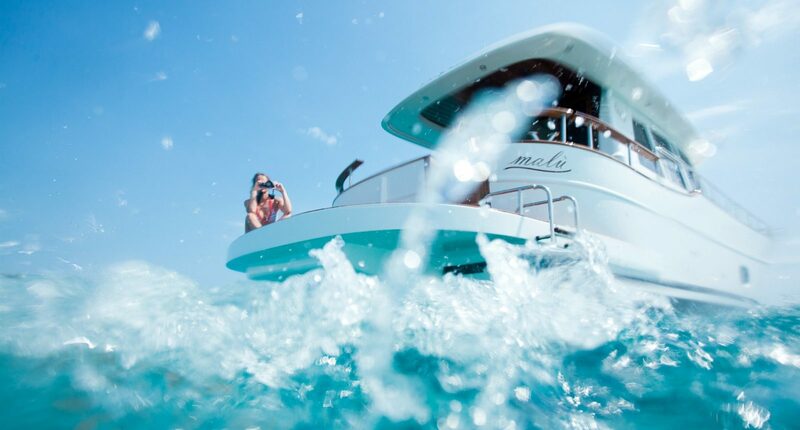 The entire boat can be accessed via ‘walk around’ side decks with traditional handrails for extra protection. A large swim-platform enables easy access for swimming and diving. Subtle influences, such as a traditional wooden stem post, wooden navigation mast, and traditional anchor roller at the bow, serve as a gentle reminder of her traditional Spanish heritage. Traditional lines paired with a hull design focused on improving performance and reducing consumption places Minorca Yachts on the cutting edge of yacht design. 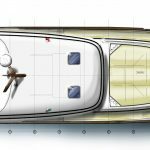 The resin infused hull molding process produces a strong, lightweight hull that has a perfect fiberglass to resin ratio, resulting in maximum strength and efficiency. 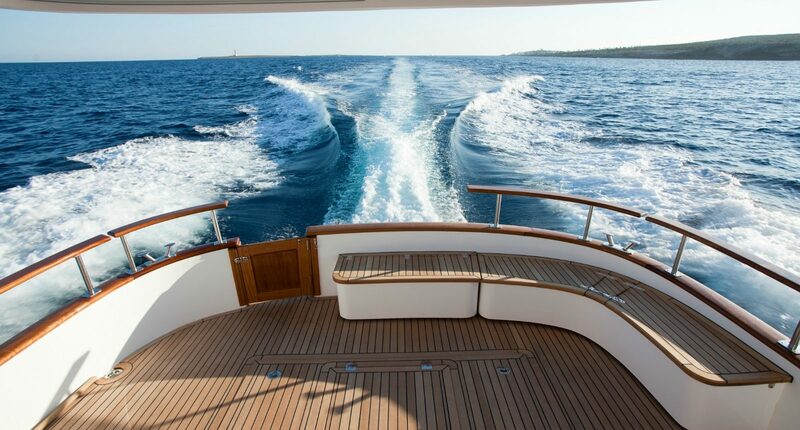 SYS Yacht Sales is the exclusive representative for Minorca Yachts for the Americas. Contact us to learn more about the Minorca Islander 42 and other new models available. A versatile new line, ranging from 34 to 68 feet, that features a natural blend of traditional Old World design with innovative, state-of-the-art technology. Born from the sketches of Iñigo Toledo at the Sasga Yard in the Balearic Islands, the new Minorca Yachts line echoes a remarkable and elegant transformation. Inspired from traditional Minorcan fishing llaüts, Sasga’s proven design has journeyed through generations, and come to fruition as the luxurious, livable and technologically advanced yachts that are produced today. 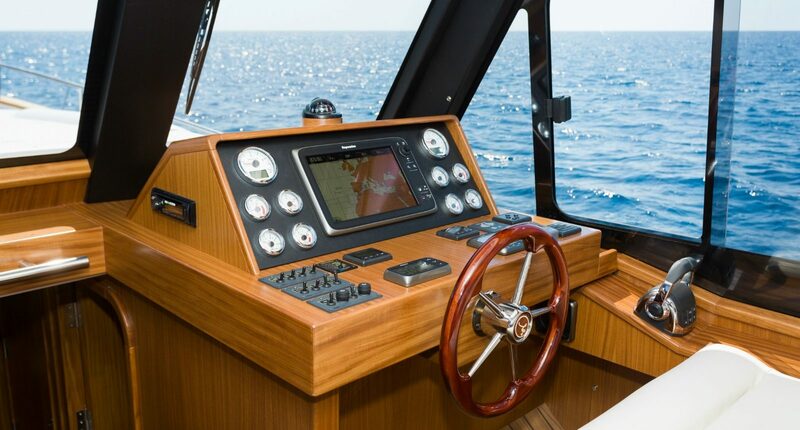 Our versatile new line will provide cruising comfort for those just starting to explore their boating dreams, as well as satisfy the needs of the seasoned yachtsman. 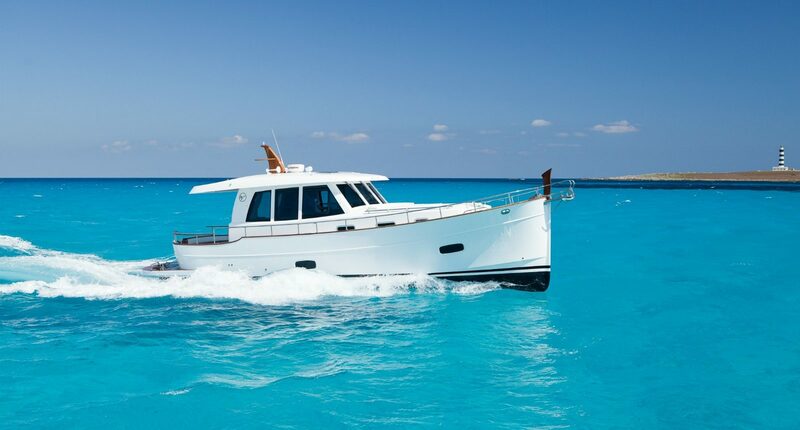 Captivating both the weekend cruiser and those seeking to conquer longer passages, Minorca Yachts will take you from your favorite local hideaway to the most picturesque harbors of the world.